I remember the Good Doctor saying that he took it as a challenge to write a Science Fiction mystery, since at the time the opinion was that you couldn't. That the future detective would pull out his super science device and with a few pushes of a button, solve the case. And it's true with any mysteries. Look at my favorite SF Crime shows, the CSI franchise. (Yes, they are SF, they can gene type people in a day.) Despite copious amounts of magic finger print dust and the magic black light, they still solve mysteries the old fashion way, through deduction and motive. The Dust and Light just let them clarify things, and in some cases, misdirect them. Mysteries will always be popular, especially when your on the Lunar Shuttle and you're reading the latest Dash Hammet mystery set in Mariner City on Mars. I find that SF actually creates situations in which it is easier to include tension, create mysteries and dashing romance. My favourite example is the closed situation of hero, killer/psychopath/random bad guy, a few victims all conviently canned up in a ship on an 8 month journey. You can't beat that on Earth. Back here, all you've got are basements, the underground and...not much else to convey the tension of being locked up with the random bad guy. Pity that Hollywood wasted the oppurtunities of tension in space, concentrating on photogenic turbolasers and barrel-rolling space fighters. Even when it tries, you get something like HAL. PS: Watch the film 'Moon', 2010. "I remember the Good Doctor saying that he took it as a challenge to write a Science Fiction mystery, since at the time the opinion was that you couldn't." Specifically, in the book Asimov's Mysteries, he states that he wrote the novel in response to the assertion by editor John W. Campbell that mystery and science fiction were incompatible genres. Campbell had said that the science fiction writer could invent "facts" in his imaginary future that the reader would not know. Asimov countered that there were rules implicit in the art of writing mysteries, and that the clues could be in the plot, even if they were not obvious, or were deliberately obfuscated. Do mysteries have to have horror? (Apart from the obvious that someone ending up dead is pretty unpleasant). It's possible to do mysteries around a non-violent crime e.g. blackmail (Scandal in Bohemia), or something that isn't even a crime at all in the standard sense (The Yellow Face). They have to have a puzzle, and in the standard convention the puzzle has to be solved by rational deduction. For the rational deduction to work, you have to have a plausible solution with a believable motivation and a possible method, as Ferrell says. To maintain the tension and keep the uncertainty going right until the denouement in the library on the last page, you ideally need several of each, which are gradually ruled out as additional information is made available to reader and/or detective. Which makes for a stylised form, as you say. The form is largely independent of the setting - as long as the setting includes logic and rationalism, at any rate - although the definition of believable motive and possible method varies with setting. Now, I am sure someone here can help me, with your encyclopaedic knowledge of SF. I have a vague recollection of reading a collection of short stories in SF, at least a decade ago. I cannot remember the author (Asimov, or Arthur C Clarke, possibly?) or the title. Some, possibly all, of the stories were mysteries. In one the key to the mystery was the permanent night on Mercury (the culprit had been hiding a light-sensitive object on the equivalent of a windowsill, a habit he could only have developed on Mercury where there was permanent night). In another the culprit was identified because his muscles had become atrophied due to spending time on a low-gravity world (which he had denied and which was crucial to the crime, whatever it was), detected by his inability to catch a valuable and fragile object when it was unexpectedly thrown to him. I remember thinking at the time that this was an ingenious collection of SF mysteries with all the conventions in place but using the unique properties of the setting. Can anyone identify the collection for me? "In another the culprit was identified because his muscles had become atrophied due to spending time on a low-gravity world (which he had denied and which was crucial to the crime, whatever it was), detected by his inability to catch a valuable and fragile object when it was unexpectedly thrown to him." Because, of course, people who have not had their muscles atrophied by low gravity invariably have perfect reflexes, even when caught unawares. Quick, everybody train to be expert athletes! You might be accused of a crime if you don't! Which highlights a problem with the mystery genre. It's all too easy to have your characters be too certain about the correct explanation of a certain event. In real life, not everything that looks a little odd has a sinister explanation. "Which highlights a problem with the mystery genre. It's all too easy to have your characters be too certain about the correct explanation of a certain event. In real life, not everything that looks a little odd has a sinister explanation." Which good mystery writers take advantage of. One can write the story in such a way as the reader can pretty easily figure out what is going on, but derive entertainment from the way in which the protagonist moves from mistaken conclusion to mistaken conclusion until he figures out what really happened. Carla said:"Do mysteries have to have horror? (Apart from the obvious that someone ending up dead is pretty unpleasant). It's possible to do mysteries around a non-violent crime e.g. blackmail (Scandal in Bohemia), or something that isn't even a crime at all in the standard sense (The Yellow Face). " "Life and death are always good for generating tension, but with a skillful tale, you don't always need a dead body..."
Then there's always the potential of someone being killed to motivate the solution of a dilemma. Of course, it's almost always a put-up job on the part of the author, either relying on the reader to lack imagination (to generate obvious alternatives) or simply by application of false pretenses. It's almost impossible to design a perfectly air-tight dilemma with no outs whatsoever. "and in SF there is always the standard of the astronaut trying to figure out what the alien is trying to tell him"
Which is a rather odd kind of mystery, since in this case the mysterious party would be trying to help rather than confound the detective's efforts. The challenge would have to come from the astronaut and alien having such different mindsets that they have trouble understanding each other despite both parties' best efforts. Overcoming this challenge would also be a cooperative endeavor, only capable of succeeding due to the combined skills of both parties. Very different feel from a conventional mystery! "Then there's always the potential of someone being killed to motivate the solution of a dilemma." I would say that would be pretty horrifying, wouldn't it? Murder mysteries can make use of horror tropes because of the fear that the perpetrator will commit further murders (such as, for example, of a detective who is about to catch him), with other characters helpless to stop an enemy they can't even find. Not because of the murder which has already taken place, which might be sad, but not scary except inasfar as what it implies about actions the criminal might be willing to take in the future. If someone died but for some odd reason you are 100% sure that no-one else will, then you can have a mystery story but not a horror story. 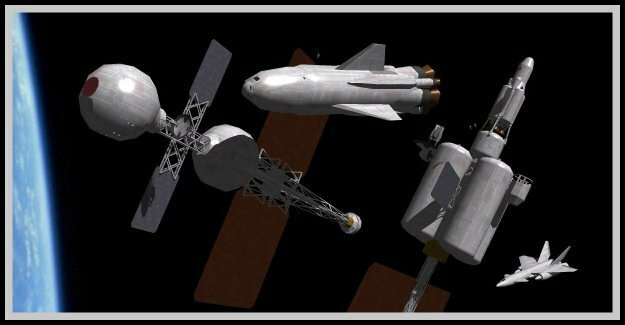 Space travel gives you the ultimate in locked room mysteries: A crew of 8 leave the Von Braun orbital station for the Moon, and when they arrive, there's 7 crew and a dead body. But instead of waiting until the ship arrives at the Armstrong Luna Port, the detective can interview the crew while they are on board the ship. Meanwhile the ship's commander is running his own investigation in parallel. I could see this working, as the commander and the detective "spend time" with each other as they work together to find out who killed the crew member, A. Bodi. These include at least one of them, 'The Dying Night'. Mysteries don't need to have horror, but as genres they are connected historically - Poe was one of the first mystery writers - and there is a 'suspense' spectrum that they both lie along. I agree that the collection sounds a bit like Asimov's Mysteries. 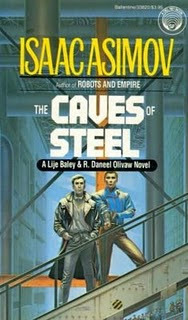 A good deal of Asimov's SF, notably including Foundation Trilogy, has elements that resemble a locked-room mystery. Locked room mysteries...that's what I was describing back up the post! Jim Baerg and Rick - Yes, the collection was Asimov's Mysteries. I recognise some of the others, and the detective's name. Thanks! Not only that, but a mystery can be a wonderfull way to introduce your readers to some SF concepts, if the resoution of the mystery is linked to that concept. "I would say that would be pretty horrifying, wouldn't it?" Actually, I think that would be suspense. And I was thinking of a very specific science fiction suspense story, first publisehd in 1954, involving a life and death dilemma. It's very famous and a person's reaction to it is considered a fandom litmus test by some hard SF readers. But the dilemma was a real put-up job, in that for the dilemma to exist, numerous characters on and off stage would have to be professionally incompetent and morally obtuse. If you're referring to "the cold equations", I don't consider it really a mistery nor an horror piece... unless you want to conisder the horror of a spacefaring society so obtuse to fall in such an easily preventable situation! "If you're referring to "the cold equations", I don't consider it really a mistery nor an horror piece... unless you want to conisder the horror of a spacefaring society so obtuse to fall in such an easily preventable situation!" Like I said, it's suspense, not horror or mystery. But then suspense is the legitimate child of horror and mystery. It's the deferment of a known and horrible outcome while a problem is solved -- or not. Dealing with The Cold Equations, it's almost the perfect example of what I was talking about, in terms of suspense most often being a put-up job. All of the false pretenses involved in setting up the dilemma have been pointed out numerous times by many critics. But it's still considered an important work by SF critics because it subverts the expected happy ending in SF problem stories. ""The Cold Equations" was certainly successful at two things - provoking an unending debate in the SF world, and making a lot of us conscious of safety engineering factors we might otherwise scarcely have thought of. (Which is different from saying that the designers wouldn't have thought of those things.)" The central dilemma in TCE could have been avoided without any engineering changes whatsoever. Simple, proper policies and procedures could have eliminated the stowaway problem in a much more moral and ethical manner. I would only quibble that sound policies and procedures are a part of safety engineering, broadly considered. "I would only quibble that sound policies and procedures are a part of safety engineering, broadly considered." Very broadly considered. Saftey engineering, as a discipline, is essentially about engineering things for safety. Though some people make safety engineering suggestions with respect to avoiding the Cold Equations dilemma (e.g. stowaway mass detection before launch or larger fuel safety margins), what I'm trying to point out is that there's no need for an engineering solution. The problem could all be taken care of by a simple and practical addition to the preflight checklist -- look in the supply closet and make sure nobody's hiding out in there. The title of this post brings to mind a perennial problem with much of what passes for SF; many authors use an SF setting to tell a non SF story. X-wings peeling off to attack the Death Star? How about Dauntless dive bombers peeling off to hit the Imperial Fleet at Midway? Firefly was an interesting Western set in the post Civil War era, so was "The Outlaw Josey Wales". You can go on. A real SF mystery would need to have the detective use quantum physics to determine who did (or did not) kill Schrödinger's Cat. If the story could not happen without the science, then it is science fiction. "The title of this post brings to mind a perennial problem with much of what passes for SF; many authors use an SF setting to tell a non SF story. A real SF mystery would need to have the detective use quantum physics to determine who did (or did not) kill Schrödinger's Cat. If the story could not happen without the science, then it is science fiction." I don't think it's too far fetched to say that good SF is about how sci/tech progress affects people, not about technobabble and Wonder Of The Universe(TM). So what if it's High Noon IN SPACE! ? It's still SF to the degree that it explores how living and working in space makes a difference to the inputs and the outputs of a plot complication or device. A locked room murder mystery, as already pointed out, looks different on a sapce station with highly refined environmental controls than it does in a Victorian drawing room. That's a good point Tony. What's mundane now, was, at one time, science fiction in the past. And I'm not talking about stuff in the 1800s, I'm talking about stuff written since the 1960's, after I was born. I've lived long enough to see computers go from big, massive machines, running off of tape or even punch cards, to owning a cell phone that makes the communicators in Star Trek look positively primitive. I own an iTouch, and it has far more computing power than my first computer, a TSR-80, Level 2, with 16K of memory! We also need to consider that there are only so many basic plots. Into one or more of these basic plots, you toss in your hero(es), some flaws, an antagonist, some sort of complication, and Bob's your Uncle, you have a story, be it SF or a bodice ripper. As talented as he was, when I read John Campbell's The Black Star Passes I was amazed at how wooden his characters were. Their only purpose was to move the plot along to an ending. It was a prime example of a pulp age novel, if there ever was one. The first half was a piracy story, except that the pirates used a gas with beneficial effects. The second half was a story about two cultures clashing, both trying to survive the encounter with the other. Both basic stories, but both with a SF twist, though a contrived one. When I think of SF plot driven movies, I think of ones like The Forbin Project, except that you could set the same story in ancient Arabia and Colossus turns from an almighty computer to an almighty efreet or djinn. So when it comes to murder mysteries in SF stories, the writer has to make sure he defines the limitations his detective operates under first, even if he never states those limitations in his story. Knowing that it still takes a week to completely DNA type a suspect is important, or what you can't find out from crime scene evidence could be pivotal to the storyline. Limitations make for a better story, than a godlike character who can wave tridoodler and say "Captain, according to my scans, the perpetrator of this murder was a dark haired, one armed man with a speech impediment." I pretty much stick to the argument I made then, including the element of story length. Short stories lend themselves to a McGuffin. Long fiction needs to be more character centric or at any rate 'flavor' centric.